Declan's Finnian, Gael Ore, is a collector's item that was originally introduced in 1999 and has been recently added to our site. 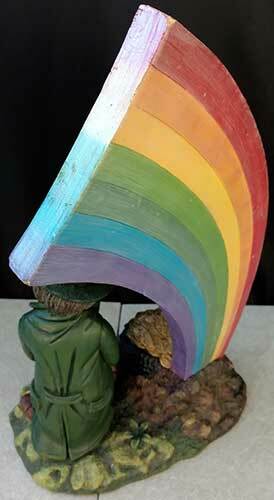 This Irish figurine is the largest leprechaun in the Finnian collection. This Irish figurine is named Gael Ore; he one of Declan's Finnians, the Guardians of the Blarney Stone. Gael Ore is Irish for got gold. 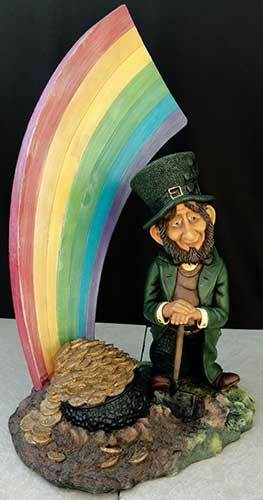 This leprechaun features a shovel in his hands along with a pot of gold at the end of the rainbow. His green top hat is enhanced with an embossed shamrock. 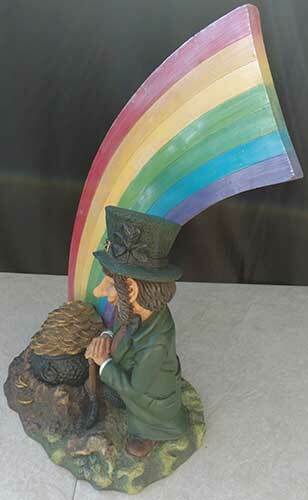 This leprechaun figurine is made of hand painted resin and measures 7 1/2" wide x 10" long x 17" tall. The Finnian figurine is complete with a shamrock history card, complements of The Irish Gift House.